Among the early European settlers in this region was Christopher Dock, a schoolmaster who had taught in Germany. Dock brought with him the memory of a decorative form of writing which he wrote about in a book on school management, the first book on the subject published on this continent (Schul-Ordnung , 1770). 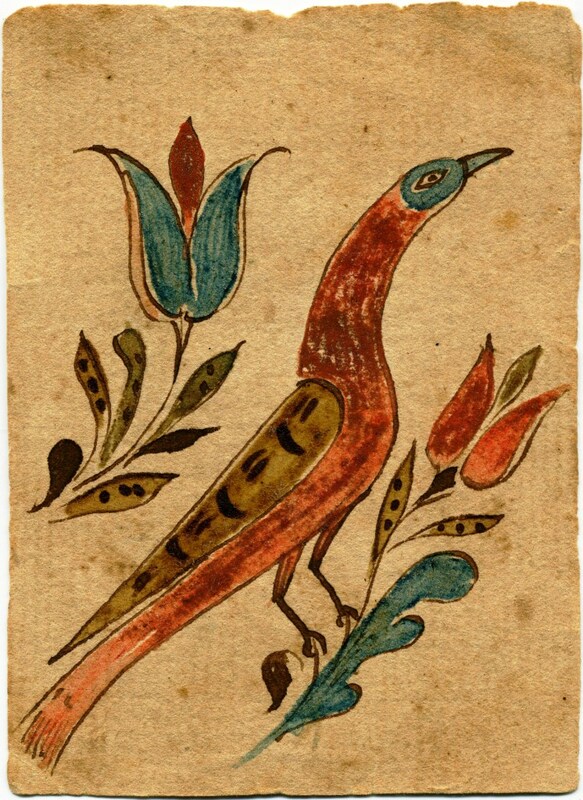 In his book Dock describes his practice of giving to students who had excelled “a flower drawn on paper or a bird.” And he awarded a special certificate (Zeugnisz) to a child who had learned to read. 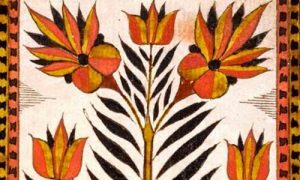 These gifts that Dock described are now identified as “fraktur” — a body of beautiful examples of penmanship and decorative motifs, called fraktur because of the broken or fractured style of the German lettering used. Mennonites throughout eastern Pennsylvania established private German-language schools similar to those taught by Dock at Skippack and Salford. 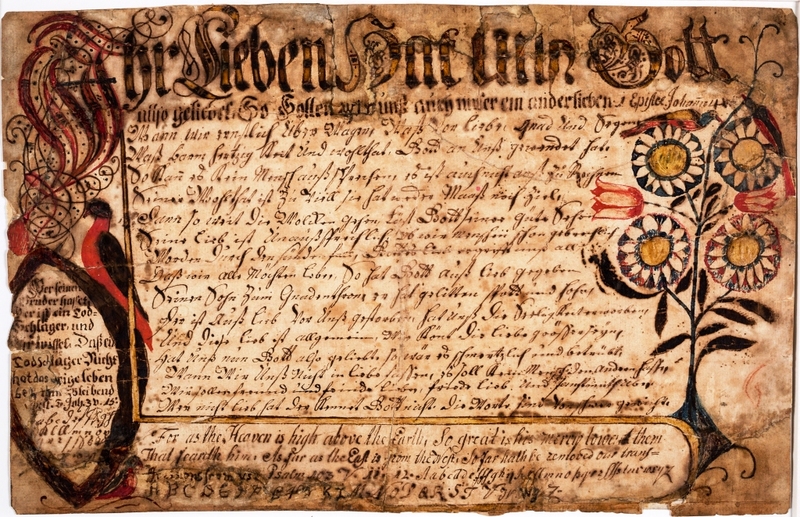 Numerous pieces of fraktur from these areas, especially Bucks County, are part of the MHC collection. 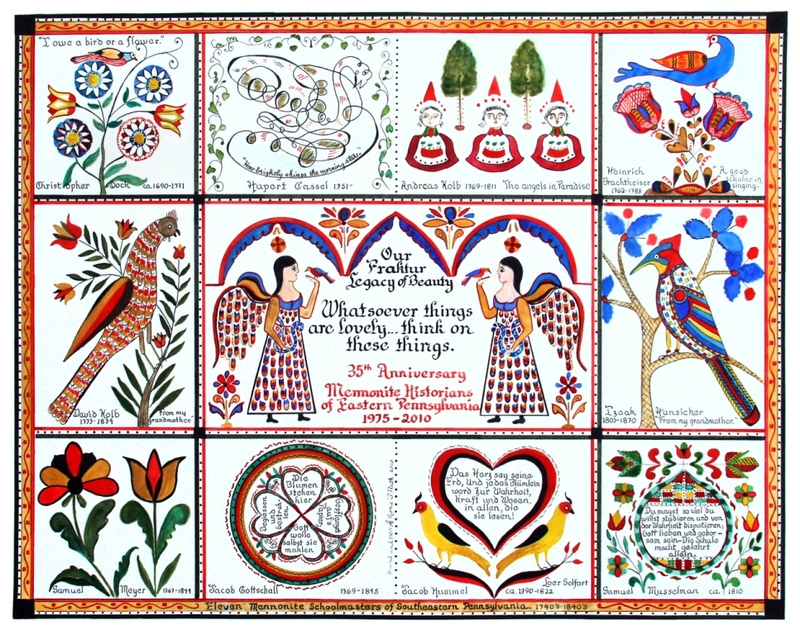 Lancaster and central Pennsylvania were home to a separate community of Mennonites and Amish who had their own fraktur tradition. 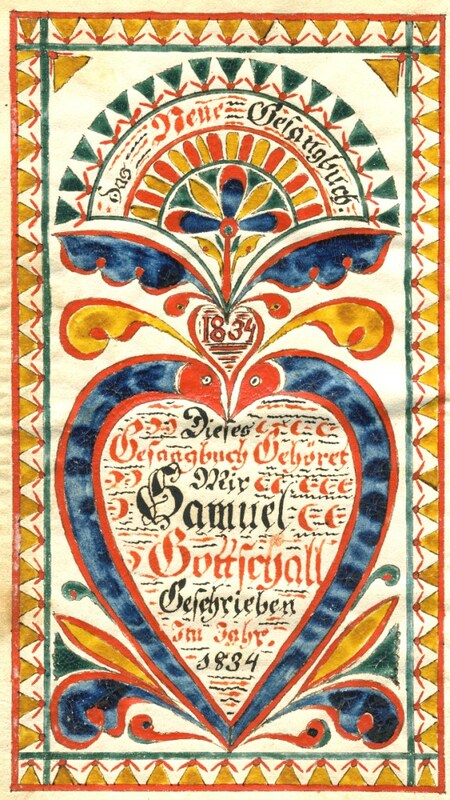 Other Pennsylvania German communities (primarily Lutheran and Reformed) produced fraktur that focused on baptismal and family records. $5.00 Admission Donation. Handicap access to exhibits.